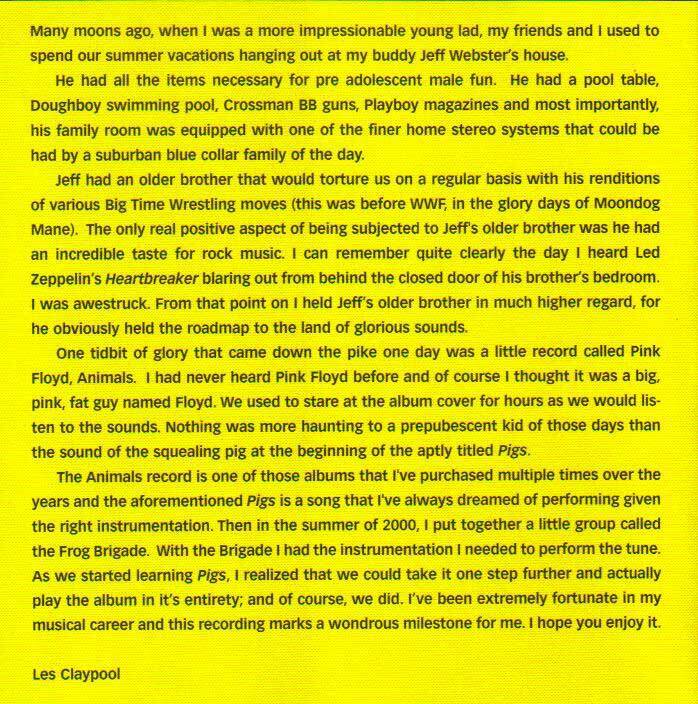 I count Les Claypool as one of my personal heroes. I enjoy his entire catalog of music and I especially love his unique brand of humor. 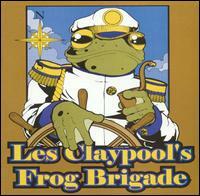 The Frog Brigade is one of the many groups Claypool fronts. Members of note of the rotating Frog Brigade lineup include guitarist Todd Huth and drummer Jay Lane. Claypool, Huth and Lane comprised the original lineup of Primus, Claypool's most successful and notable project. The same three also released an album as Sausage in 1994, with the core Primus lineup of Tim Alexander on drums and Larry LaLonde on guitar already solidified. This cover comes from the second set of the Frog Brigade's performance October 2000 which saw the band faithfully performing Pink Floyd's Animals in its entireity. Until I heard this performance of Animals, I was not all that familiar with Pink Floyd's albums, outside of the ever popular Dark Side of the Moon and The Wall. I love the Orwellian atmosphere created by the lyrics and music. It's so dark and grimy. It's such a departure from their more commercially successful efforts. I really don't think you'll hear any of these songs on classic rock radio on a regular basis. They are far too challenging.